Good teachers of righteousness will impart their teachings and life to make an impact upon many of their students. Through our expositions of the Scriptures we can mold many young lives in the ways of God. You don’t know who your students may go on to become. 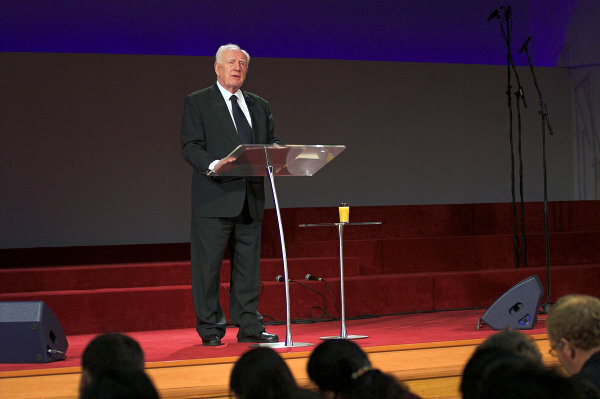 Once I went to Malaysia to speak at a large church. I had no idea who the pastor was, but when we met, he said that he was a student of mine some years before when my wife and I had taught in Singapore. The pastor said, “You do not know me, because I sat at the back of the class and said nothing:’ but years later he was the pastor of a church of 5,000 members. Then we had another student who I had taught in Switzerland, who has gone on to start 150 churches in Africa. And again, one of the students I taught in the USA went on to build a church of 6,000. When you are teaching, you don’t know what your students will go on to become. Teachers have mighty influence when they boldly proclaim the truth. Their pupils remember their words long after the teacher has gone to his eternal reward. Their words live on in their hearers’ lives and sometimes produce fruit for many generations to come. If we are faithful to study, pray, and live our teachings, God will ensure that, like Jesus, we shall see our seed and be satisfied, Isaiah 53:1 0-1 1. What a high and holy calling it is to be a teacher of righteousness. It demands our complete dedication. This calling requires time spent in the presence of the Lord Jesus, the Teacher of teachers, to sharpen our skills and grow in the knowledge of Him who is the Word made flesh. His mantle must cover us so that, with humility and honesty, we can manifest His image. These are the days when sin will abound and the love of many shall grow cold. Yet the Spirit of God will be poured out in revival power and multitudes will come to the Lord. Teachers of righteousness will be raised up by God to nourish the newborns and bring the mature to perfection and glory. May we desire to be included among these teachers of righteousness, by His grace.